I’ve often said that reality is not a strong point of the left. Their narrative is much more important to them than actual facts. It was pointed out, repeatedly, by people who actually read the so-called “Affordable Care Act”, that it was a disaster waiting to happen. People were going to lose coverage, prices would go up, and access to actual affordable health care would decline. Rather than face these facts that inconveniently disagreed with their socialist narrative, the collective left called those who actually read the bill, “racists,” which was certainly easier than reading the bill for themselves. 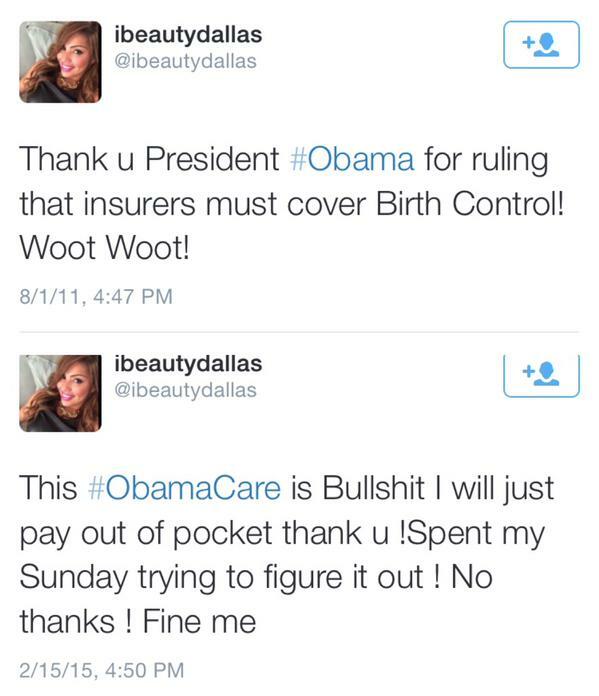 Now, not only does this leftist idiot not have health care coverage, she is going to get fined by the government she helped to elect, for not having it. In addition, she inflicted this disaster of a law on millions of Americans who didn’t want it.